Only showing entries about keelung from Babies in backpacks. 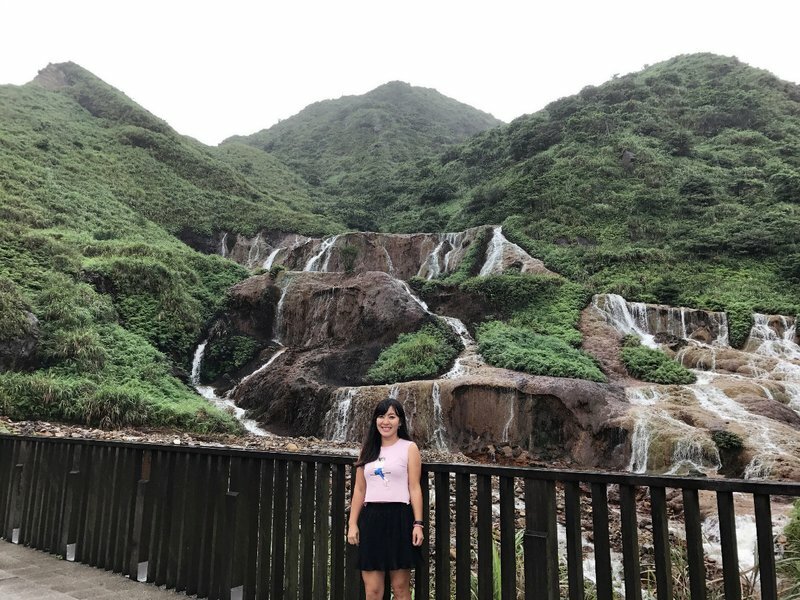 View entries about keelung from all Travellerspoint blogs. View Around the World 2017 on zzlangerhans's travel map. 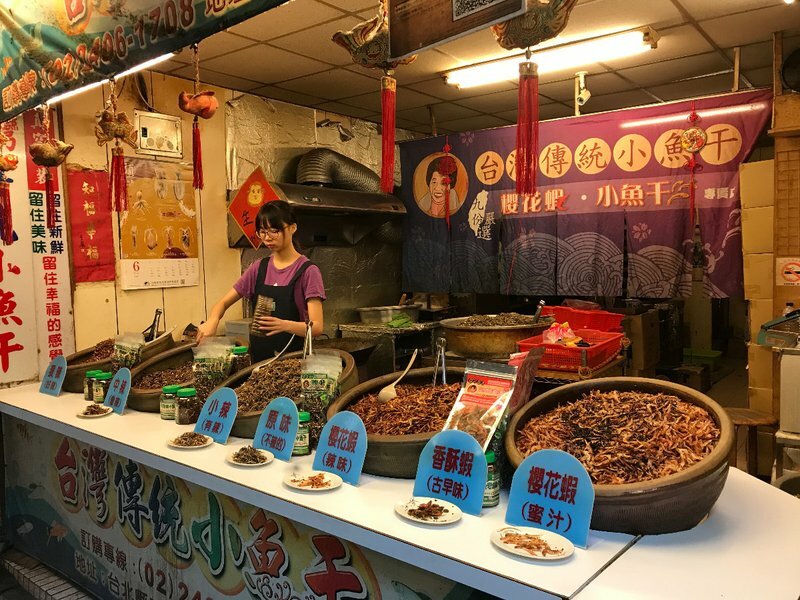 We spent two of our seven days in Taipei visiting places on the outskirts of Taipei itself. We abandoned our original plan to rent a car which was the right decision, as the Metro took us most places we needed to go and taxis were easily available for short hops even in the rain. 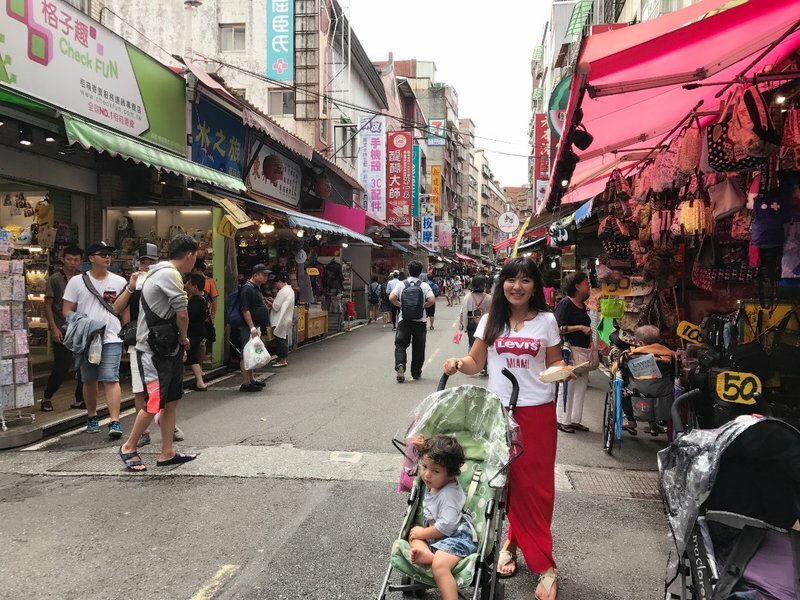 The one exception was our trip to Jiufen and Keelung, but fortunately Mei Ling had an old friend in Taipei with a three row SUV who kindly chauffeured the entire family around for the day. 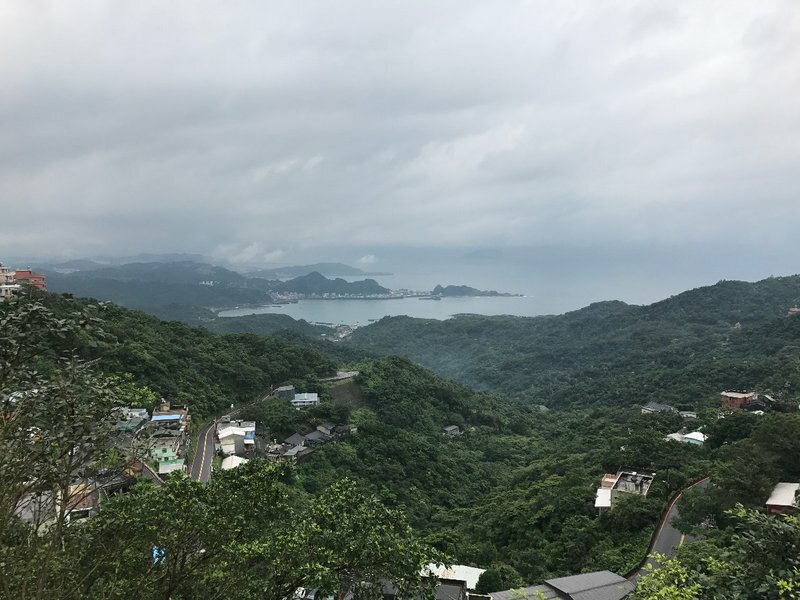 Jiufen is a former mining town nestled in the hills set back from Taiwan's northeastern coast. Long after the mines were exhausted and fell into disrepair in the 1970's, the town found a new life in tourism thanks to the mostly unintentional preservation of its turn-of-the-century style layout and architecture. 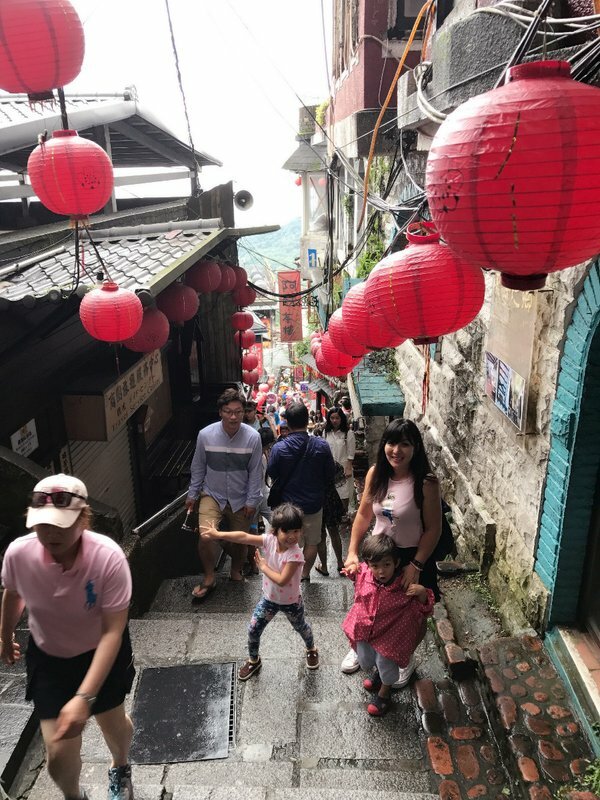 The star attraction is Jishan Street, commonly known as Jiufen Old Street, a narrow pedestrian alley that winds through the town lined with old-fashioned boutiques and restaurants. The overall effect is touristy, but since the majority of tourists are Taiwanese daytrippers it's not as obnoxious as it could be. We had a snack at a restaurant with a balcony overlooking the hillsides as they rolled down to the coastline a few miles away. It was a short drive to the Golden Waterfall, which turned out not to be particularly large or particularly gold. 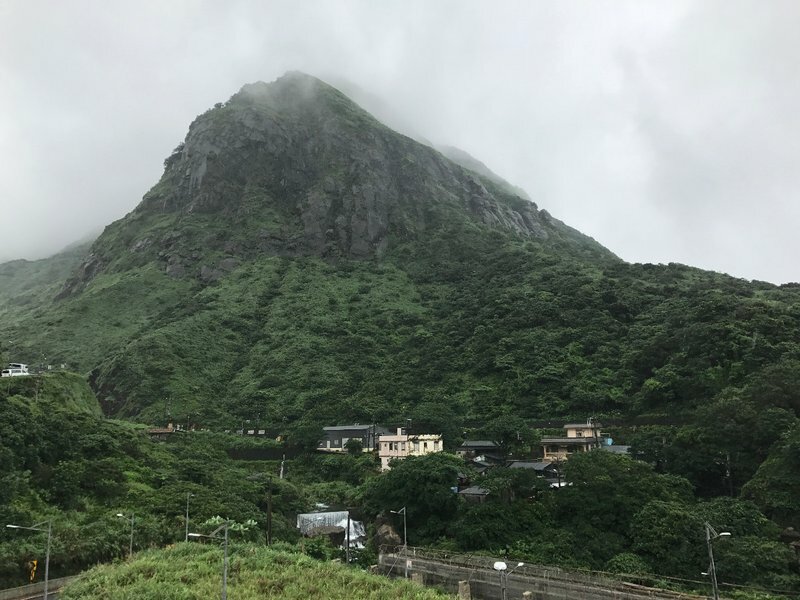 However, the verdant mountainous backdrop was quite beautiful in the mist. 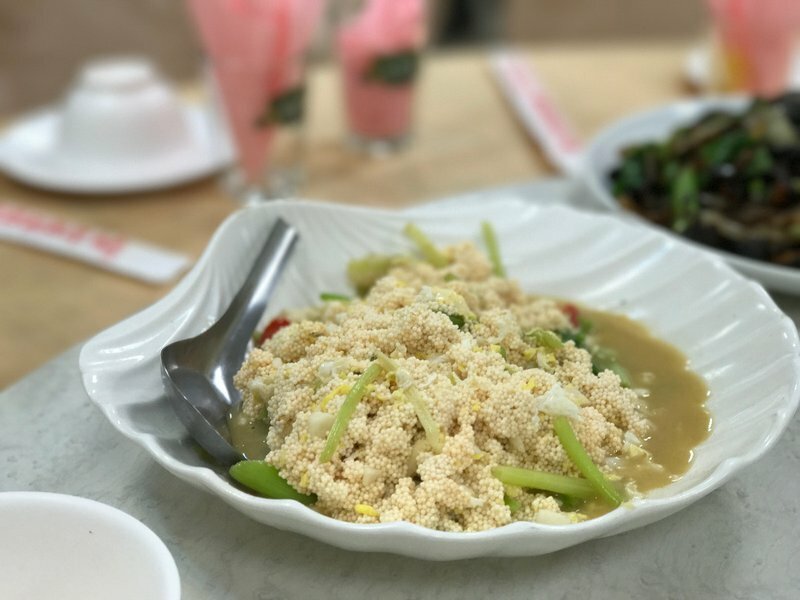 We had one more stop in a coastal town whose name I've forgotten for another bite to eat, including a crunchy fish roe salad. Lantern boats were docked in the harbor awaiting the next festival. 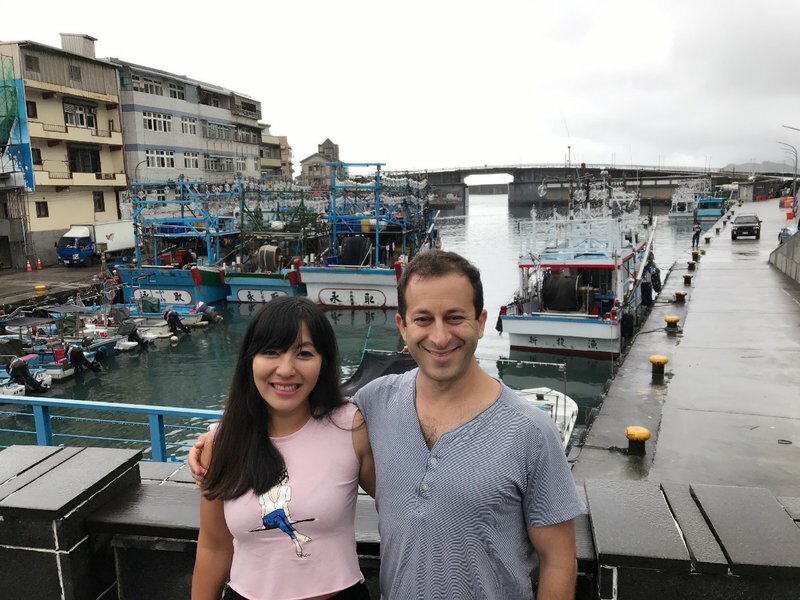 We backtracked westward to Keelung, the largest city on the northeastern coast. 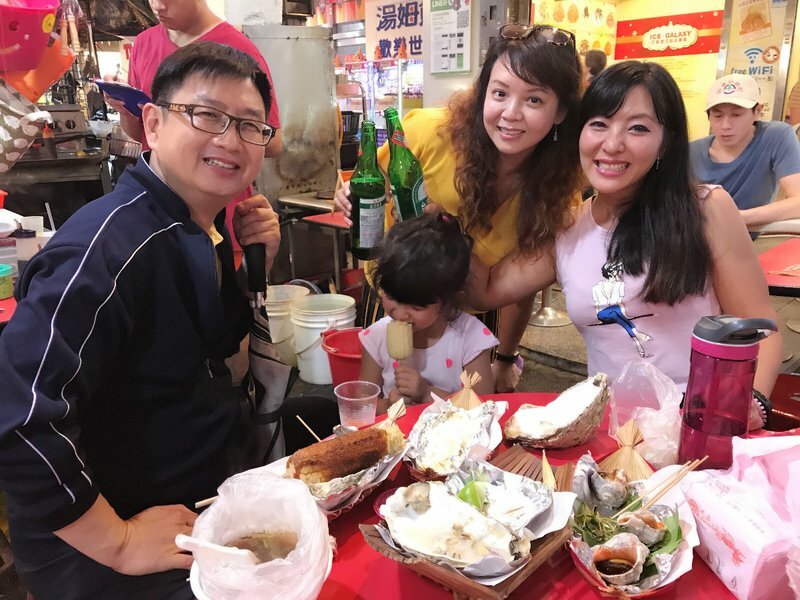 I was excited to see the Miaokou night market, which was reputedly better than any of the night markets in Taipei especially with respect to seafood. We were still a little full from lunch so we killed some time in the local produce market. The night market seemed a little subdued, probably because the rain was worse than ever. We had to be careful of the tarps covering the stalls as they would occasionally sag under the puddles forming on top of them and dump a deluge of rainwater on unsuspecting patrons below. The market had a good selection of shellfish but I can't say I had the kind of seafood epiphany I've had in places like Hangzhou or Seoul. We had to cut our visit short because of the incessant rain and the long drive back to Taipei. Hopefully I'll have a chance to return to Keelung and explore the market at a more leisurely pace in better weather. Taipei Metro's Red line conveniently courses northward from the center through Shilin to the northern suburbs of Beitou and Tamsui. 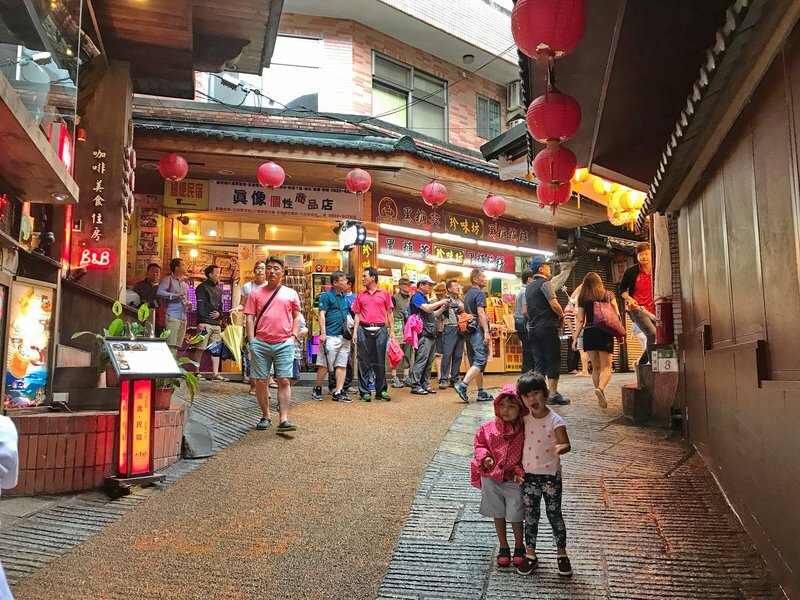 Tamsui is home to another of Taipei's most famous markets, also named Old Street, with lots of shops and other daytime activities. 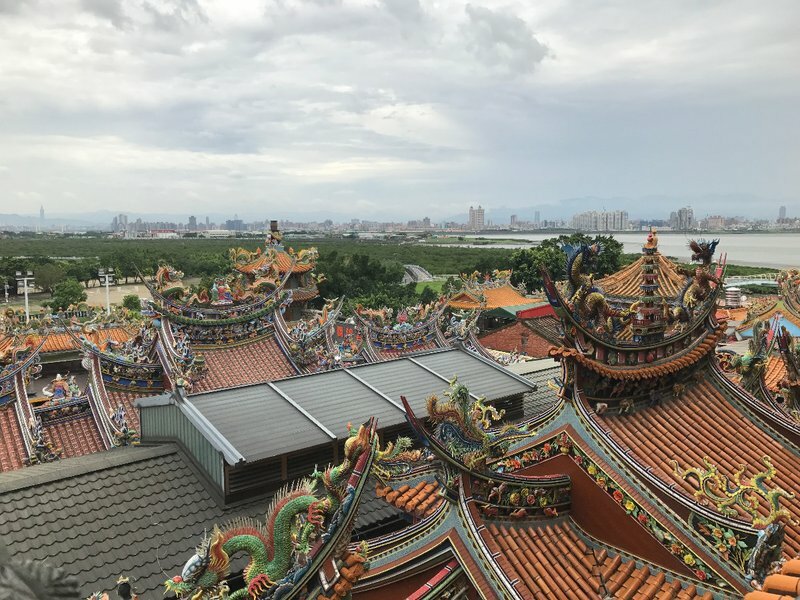 Beitou is home to the Guandu Temple, an elaborate structure which blends Buddhist and Chinese folk religious traditions. Shortly after we arrived a procession of monks came into the main hall and began a ceremony. 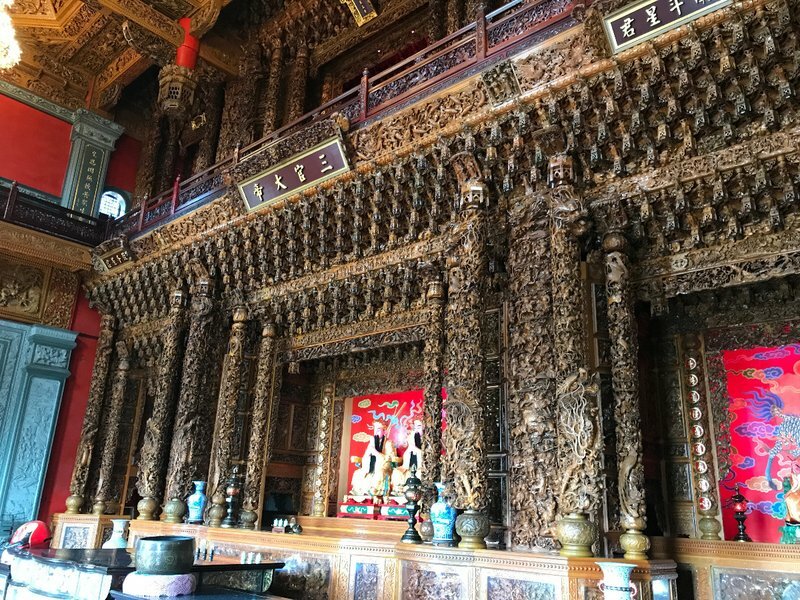 Walking through the temple it's impossible not to be amazed by the incredibly detailed woodcarving from the floors to the ceilings. It was the most impressive building interior I'd seen since the Akshardam Temple in Delhi. The dragon sculptures on the roofs were also beautifully detailed and painted. 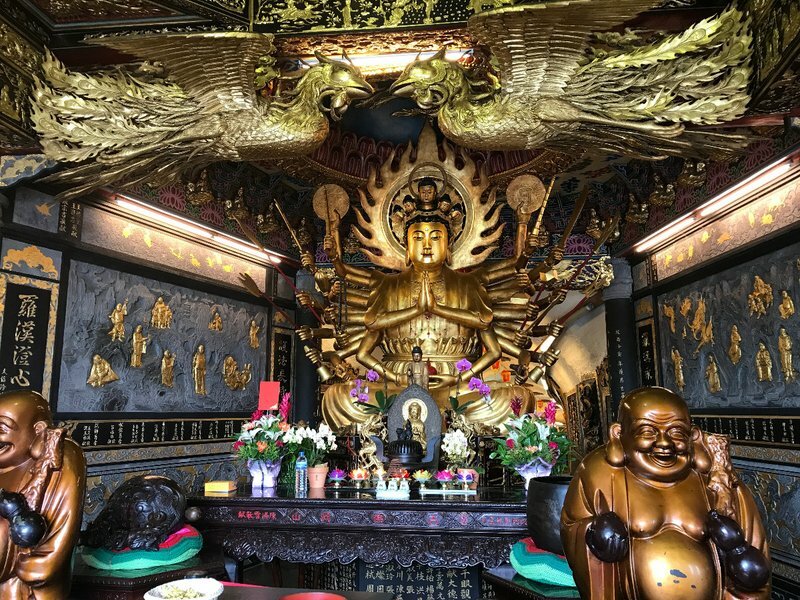 Presiding over everything is a statue of the multi-armed sea goddess Mazu, to whom the temple is dedicated. 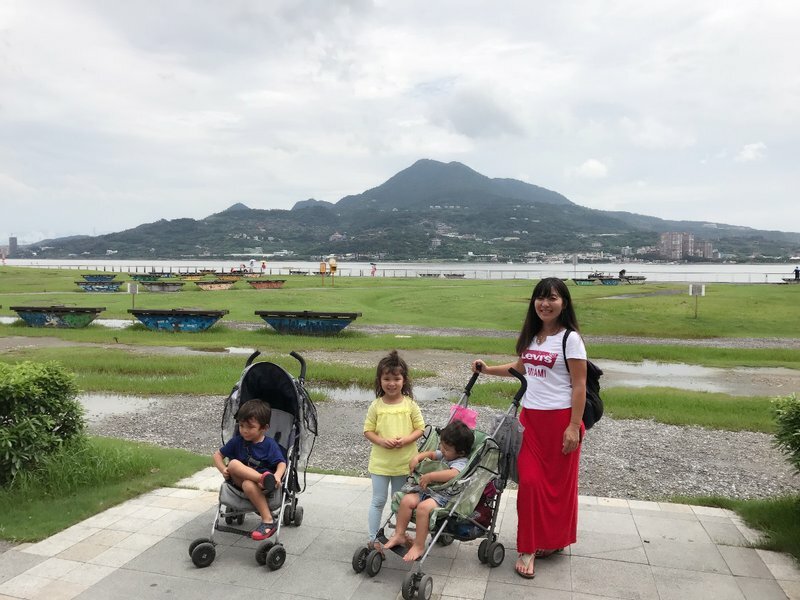 Tamsui was an energetic neighborhood full of clothing shops and seafood snack bars. 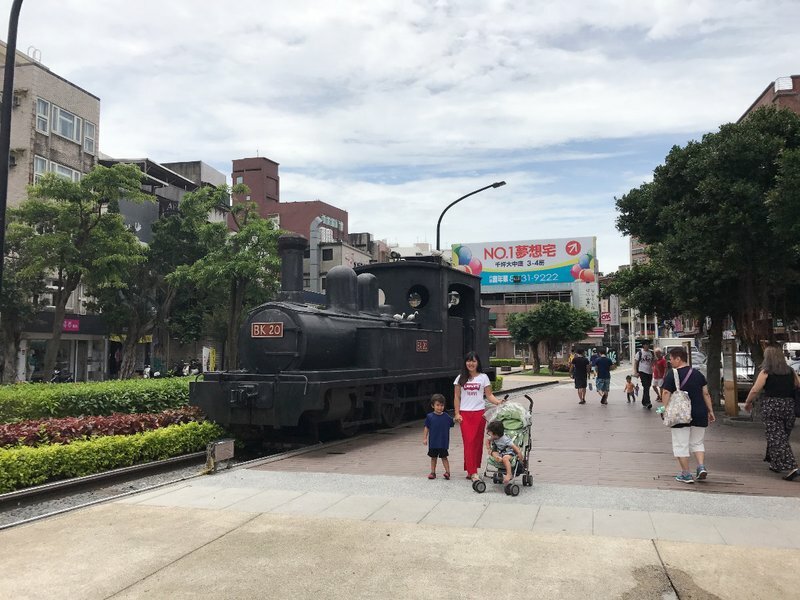 The first thing one sees leaving the Metro is an engine car on a small section of track preserved from the original Tamsui railway. Old Street is famous for super tall soft serve ice creams and squid-on-a-stick. There were also plenty of carnival-type games, mostly involving the destruction of balloons with various projectiles. The riverside stroll provides good views of Guanyin Mountain in Bali District across the river. On the way back to the Metro we ran into either a parade or a protest, accompanied by plenty of fireworks and incense. 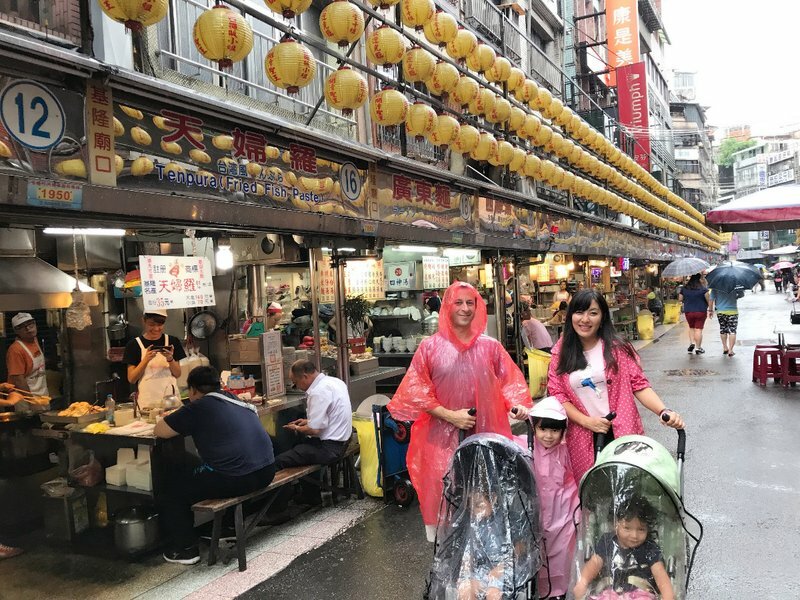 Due to our busy schedule in Taipei, the rain, and lack of transportation we didn't take a lot of the day trips I researched. We'll have to leave Shenkeng, Green Lake, Minquan, and Wulai for our next trip. It was amazing how quickly our time in Taipei went by. Thanks to the endless markets, street life, and food options it's one of the few cities I could recommend for a two week stay or longer.